Hi, I'm Kat and I'm a craftaholic. This is where I share my crafty adventures. Thanks for stopping by. Another month has flown by in the blink of an eye. It's hard to believe that we are already up to the last day of November. This morning I got up super early so I could achieve my One Monthly Goal for November, which was to finish my Glisten quilt top. I managed to get it done a few moments before I needed to rush off to work (which is why it hasn't been pressed). Hopefully I'll be able to finish it off in the next few days to allow more time for some festive projects. 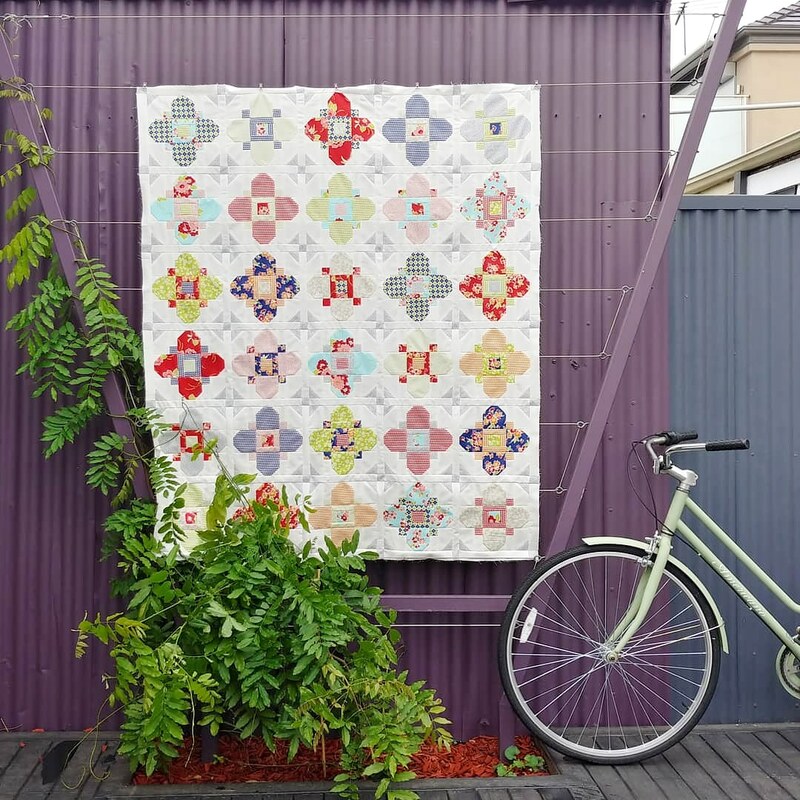 I'm linking up Elm Street Quilts One Monthly Goal - November Finish Link-up. 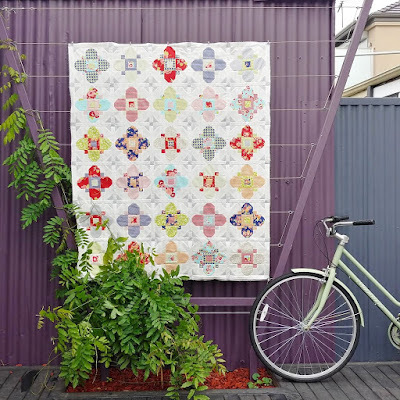 Just a quick post to link up with Elm Street Quilts One Monthly Goal and share my goal for November. This month, I hope to finish my Glisten quilt top. It's one of my oldest quilting WIPs and currently the one taking up the most amount of storage space. 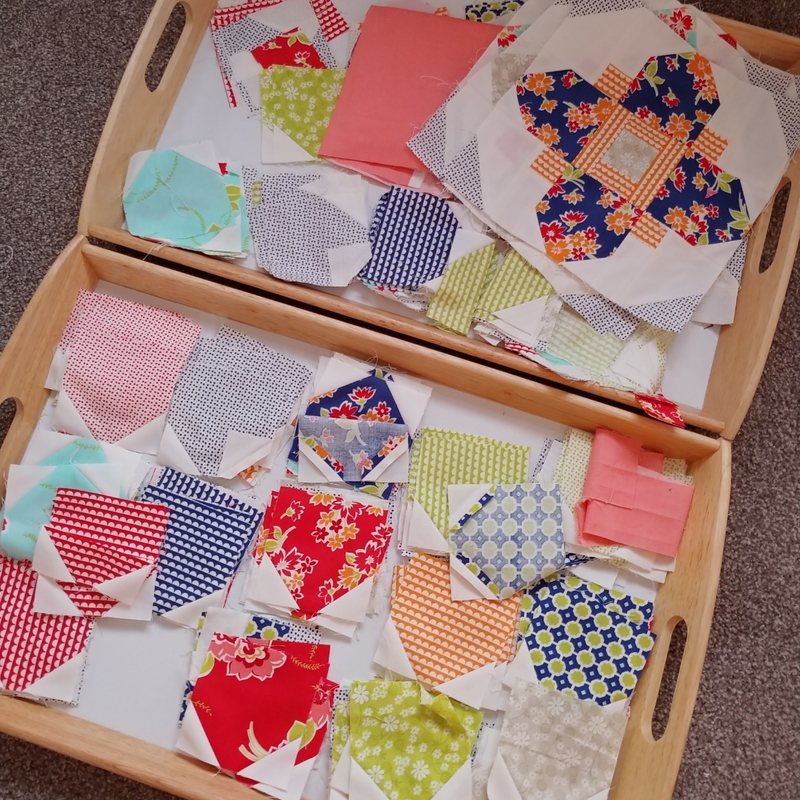 I started it about 3 years ago during a quilt-along (the Glisten-along) and it has been collecting dust in these serving trays ever since. I've definitely fallen out of love with this project, but I know it will be so good to finally finish it up.